American technology company Oracle has been in fierce competition with Amazon over dominance of the market for cloud-based products. They’re upping their game with regard to remote computing and storage technology, introducing advanced artificial intelligence and improved efficiency to their platform. It’s never easy for anyone to defeat the ecommerce giant in direct competition, but with enigmatic CEO Larry Ellison at the helm, Oracle is poised to put up a serious fight. Cloud computing, at its most basic level, is additional computer storage that is not installed locally. It is aptly named. Clouds are aggregations of matter that are far away but still visible. Cloud computing operates much the same way. Amazon actually pioneered the first true, publicly accessible cloud computing platform in 2006, under the name Elastic Compute Cloud (EC2). It offered features like virtual computing, secure logins, firewalls, and temporary storage so work wouldn’t be lost upon closing. It was an early form of the cloud, functioning for all intents and purposes as a faraway hard drive for users. Nowadays, the cloud is much more advanced. Google got on board shortly after Amazon, incorporating it with many of their apps. Google Docs, now offering 15 gigabytes of storage space separate from your personal computer, is an excellent example. It’s a revolutionary concept with the potential to change the very nature of computing. For years, information was stored locally, accessing and interacting with other systems and computers only via the Internet. The cloud is much more efficient. You can buy a new laptop, go straight to a coffee shop, and immediately have access to all your files and documents just by entering a password. Our information is wherever we are. Naturally, any company that is a major provider of cloud services wields an impressive amount of power. Becoming trusted stewards of the private information of hundreds of millions of people offers great opportunity, but requires great responsibility. There are several businesses competing to be the top name in cloud computing. Amazon, with their vast resources and early entry into the market, are currently in the lead. A California tech company called Oracle thinks they can supplant Amazon to obtain guardianship of your data. They’ve been rapidly gaining ground. On the surface, cloud computing platforms may not seem so different. It’s just a virtual hard drive, right? But there are a lot of nuanced elements that matter. Obviously, speed is an issue. In an age of lightning-fast broadband Internet, a load time of even ten seconds is deemed cumbersome. A service that offers storage allowing us to flip through documents without staring at a white page in between will have a powerful advantage. Also crucial is the capacity for traffic and storage. Storing slideshows and video game saves on the cloud isn’t the same as managing the data for an entire corporation. Large-scale storage like that requires a powerful infrastructure and lots of physical hardware and space. There’s also the matter of going beyond simple data storage.The addition of computing allows businesses to access software and services over the Internet to complete tasks and projects collaboratively. Modern cloud computing facilitates networking, integrating project-related services straight into the platform. Companies can place their entire IT infrastructure on a server outside their physical location requiring far lower maintenance than a business owning its own hardware, and freeing a large amount of IT resources up for other tasks. Oracle COO Larry Ellison has a bit of a reputation for making bold statements. Last year, he stated “Amazon’s lead is over. They’re going to have serious competition going forward.” His company is setting a rapid pace to make good on this promise. In the same statement, Ellison points out that Amazon not only utilizes Oracle’s cloud platform, but is one of their biggest users. One of the top selling points for Oracle’s cloud platform is its compatibility with businesses. They’ve spent the last decade building infrastructure to meet the high demand required to host networks for large companies. Instead of requiring the use of third-party vendors like Dropbox, they’re building a cloud that seamlessly integrates its own software, allowing the to implementation of an efficient, user-friendly system. This development could be crucial for companies that want to operate on the cloud, as server downtime at the wrong moment can be extremely expensive. 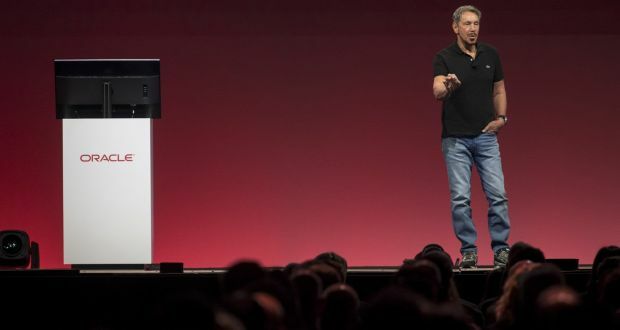 In October at its OpenWorld event, Oracle announced the driving force behind their newly autonomous service: advanced artificial intelligence. It utilizes machine learning to find ways to automate tasks and improve security. DigitalCommerce360 reports on the many new functions this A.I. will bring to the table: it will be able to analyze business information to provide recommendations for commerce professionals regarding deal closings, as well as deliver real-time data to salespeople regarding any accounts they’re working with. It can analyze supply chains to find areas where efficiency can be improved, and predict market trends to help advertisers find the best way to reach different demographics. With all these bells and whistles, on paper it’s starting to look like Oracle has a shot at unseating Amazon in the realm of cloud computing. Brash statements and press releases are one thing, but we also have to look at the numbers to see if there’s real substance behind Oracle’s challenge to Amazon. As of September, it really does seem like Oracle is gaining ground. Cloud-based sales jumped 51% last quarter and now encompass 16% of their total revenue. They’re also undertaking a massive hiring initiative, bringing on thousands of employees as the size of their cloud business continues to grow. Still, there is some distance to cover before they can truly assert their dominance. An Amazon spokesperson recently responded to Ellison’s disparaging comments, stating that they were “wild claims and lots of bluster.” Oracle is also much smaller than Amazon, Google, or Microsoft, all of whom have been pioneering their own cloud platforms in recent years. According to Business Insider, both Amazon and Microsoft offer easy migration of Oracle databases into their respective clouds, and offer comparatively more features and services. It appears as though dethroning Amazon won’t be quite as simple as Ellison makes it seem. However, their growth passionate leadership could mean this underdog has a real chance to pull off an upset victory. If we take nothing else from Ellison’s statements and the recent advances made by Oracle, we can’t ignore that Amazon has noticed and addressed their competition. If Oracle were truly a non-factor, they would certainly not receive this level of attention.